Mallory and Zede delve into the world of patterns and how they may be used in non traditional ways. Zede reminisces about her younger years and how she made herself a very large wardrobe of many different dresses but only used two patterns. She would change the embellishments, collar, sleeves and hem to create one of a kind pieces. Mallory shares how she used a 40 year old car coat pattern Zede had as the base pattern for her Lightening McQueen halloween costume she made for Zelda. By changing the fabric type from woven as the pattern suggested to a shiny nylon spandex blend and adding sparkle fabric appliqués she reinvented the pattern to suit her needs. Zede and Mallory also share how they will sometimes buy a pattern just for parts of the pattern. Maybe they want a mutton sleeve for a costume so they buy a wedding dress pattern to get the sleeve or maybe they don’t want to draft a peter pan collar from scratch for a kids garment. You get the idea. It’s a great practice to have these versatile pattens in your sewing toolbox, you never know when they could come in handy. Have you ever franken pieced some patterns together or used a pattern in an unexpected way? We’d love to hear! That’s right all of our Amazon recommendations are in one place at SewHere.com/amazon. We’ve organized our store with lists like lingerie sewing supplies, pressing tools, sewing reference books and we’re adding more all the time. Do you have a request for a list of our recommendations? Let us know and we’ll put one together. When you purchase through our Amazon influencer store SewHere receives an affiliate commission at no extra cost to you. 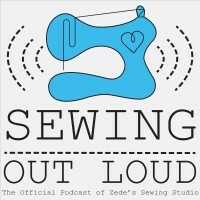 Hell support the podcast while shopping our favorite items that make our sewing lives great. 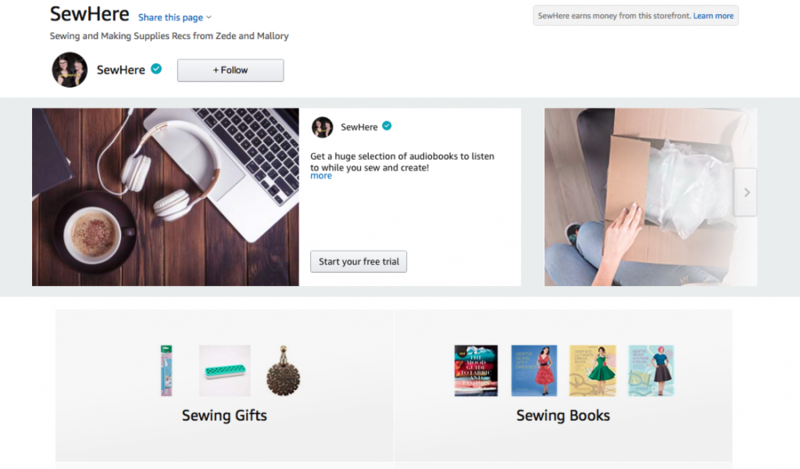 You can even tell your friends and family to shop from our store so that you get fabulous sewing goodies for the holidays. Go to SewHere.com/amazon to shop now.